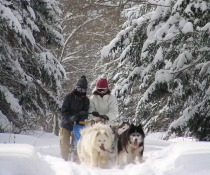 Enjoy Rafting, Canoeing, Trekking in green season, and Dog Sledding, Curing, Snowshoeing and Backcountry Skiing in winter! You will feel the clarity and coldness of water in summer, and the beauty of snow crystal and the warms of dogs in winter. We wait for you to come with nature of Minami Furano! © 2019 NPO Donkoro Outdoor School　All Rights Reserved.